April 1294. When an unknown gunman sends David and William back to Earth Two, Michael and Livia are left gasping along with the rest of their universe. Accepting that their respective employers are possible suspects, not to mention untrustworthy, the pair band together in the shooting’s immediate aftermath, in an attempt to put the first few pieces of the puzzle together. 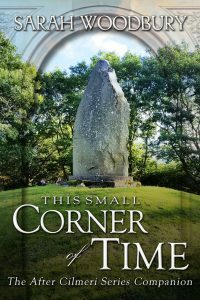 But when an unexpected bout of time travel upends everyone yet again, Michael and Livia realize they are on their own, and that this particular puzzle is one that they—and only they—can solve. Refuge in Time takes place immediately following the events of Champions of Time, the previous book in the After Cilmeri series. Open a door to the world of the After Cilmeri series! With chapters on historical context, the Welsh language, characters, places in the books, and the writing process, and including hundreds of photographs, maps, timelines, and family trees, this guide highlights the characters, places, and worlds brought to life by the series’ first fifteen novels. The Google Play PDF can be read across devices, including in the Kindle app, Google Play app, Adobe app, or other PDF readers on any smartphone, tablet, or computer. I very much wanted the book available directly from retailers besides Amazon and Google Play, but none of them are set up to sell high quality, fixed, photograph heavy epubs. Fortunately, all color tablets, smartphones, and computers support both PDFs from Google Play/Books and Kindle apps. I didn’t want to sell readers a book that I wasn’t happy with 🙂 Hopefully everyone can find a product that works for them! May 1148. All Dublin is shocked by the murder of a prominent merchant, but only Prince Godfrid knows that the man was also a co-conspirator in his brother’s plan to take the throne of Dublin. With death stalking his every move, Godfrid must call upon new friends and old to find the killer–and with their help uncover a conspiracy stretching beyond Dublin’s walls to shake the foundations of every kingdom in Ireland. The Viking Prince is the 11th Gareth & Gwen Medieval Mystery. April 1294. With David returned from Ireland and Anna from Avalon, the time has come to confront the traitors who sought to assassinate David and take his throne. But before that can happen, David is tested yet again by his inability to account for everything or everyone in his life—and especially the magic that surrounds him. Champions of Time takes place immediately following the events of Outpost in Time and Shades of Time, the previous books in the After Cilmeri series. November 1147. Gareth and Gwen have again been called to a castle belonging to Robert, Earl of Gloucester, this time by Prince Henry, who insists his uncle was murdered. Allying with Normans doesn’t come easily to Gareth and Gwen, but initial doubts are swept aside as more losses come to light. Because Robert’s death has upended the balance of power in England, friends and foes alike have a vested interest in keeping the truth from coming out, and it is up to Gareth and Gwen to stop the killer before he claims another victim—and maybe a country. The Favored Son is the tenth Gareth & Gwen Medieval Mystery. March 1294. With David and Llywelyn in Ireland, the rule of Wales and England has fallen to Math and Anna. Unbeknownst to them, however, rebellious barons have tried to assassinate David and thrown Ireland into civil war. When the treachery reaches across the sea and touches Anna, she finds herself at the center of a conspiracy that stretches from Dublin to Edinburgh—and only her actions and choices stand between her family and the destruction of everything they’ve worked so hard to build. Shades of Time takes place simultaneously with Outpost in Time and is the twelfth book in the After Cilmeri series. Cade and his companions have reached the final reckoning. He must either rise to the promise of his birth and become the legend that prophecy foretold—or face the ultimate destruction of his country and his people. Legend of the Pendragon is the eighth and last installment in The Last Pendragon Saga. March 1294. Ireland is at a crossroads. The different factions—Irish, Danish, and English—are tearing the country apart with their constant warfare. Hoping to hammer out a treaty, David calls the Irish Parliament into session. Unfortunately, some lords are far more interested in fighting than talking, and it isn’t long before the conference goes awry. With the future of Ireland at stake, David finds himself caught up in a far-reaching conspiracy that puts not only his only life on the line, but his family’s as well. With only four days until Cade is to be crowned High King of the Britons, the combined might of gods and men are set to prevent his ascension. Once again the companions are scattered as the struggle against dark forces—both old and new—threatens to overwhelm them. The Pendragon’s Challenge is the seventh novella in The Last Pendragon Saga. March 1147. Assassination, espionage, betrayal. King Owain has ridden east to confront King Madog of Powys with the attempt on the life of his son. Rhys, now abbot of St. Kentigern’s monastery, hopes for peace and calls both Madog and Owain to the negotiating table. Peace, however, is the last thing on Madog’s mind. Recalcitrant, righteous, and angry, he sees King Owain’s recent weakness as his opportunity and knows that Owain’s own barons are circling like wolves, waiting for the chance to overthrow him. 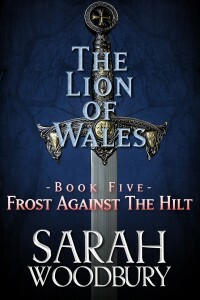 With the throne of Gwynedd in the balance, Abbot Rhys is desperate to broker a deal. And when the body of a royal spy is found within hours of King Owain’s arrival at St. Asaph’s, it is up to Gareth and Gwen to find the killer before the wrong man is hanged—and a country lost. The Unexpected Ally is the eighth Gareth & Gwen Medieval Mystery. Love, magic, faith. All roads lead to Camlann as Arthur gathers his men for a single battle–a final great contest against the full might of Modred and his Saxon army. Wales will win all or lose all in one last throw of the dice. A holy war neither man wants to fight. A militant pope. A treacherous baron. A jealous brother. Love. Honor. Family. Betrayal. Destiny.